Andy is the clinics co-director. 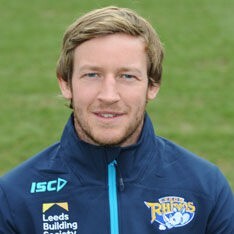 He recently left his position as the Head of Physiotherapy & Rehabilitation at the Leeds Rhinos, where he was involved from 2009-2018, to take up a position working in International Football. He graduated in Physiotherapy from the University of Bradford with a first class honours degree which followed on from a previous Bachelor of Science degree from Leeds Metropolitan University in Sports Performance Coaching. Andy has a keen interest in injury prevention and the biomechanics of movement and has recently just completed an MSc degree in Sports and Exercise Biomechanics at Leeds Beckett University. Andy has wealth of experience working with professional athletes in rugby, extreme sports, basketball, football, boxing, powerlifting and golf. Andy is also the author of www.newgradphysio.com - The New Grad Physio helps new grad therapists accelerate their careers and gain confidence and clarity with their assessment, treatment and rehab planning. To contact Andy directly please email andy@performreadyclinic.com or call the appointment line on 07549258956. Ben is the clinics co-director. 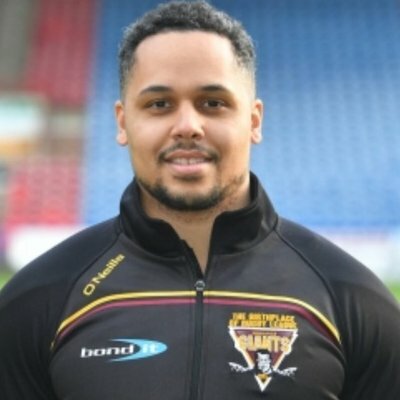 He has previously spent time with the Castleford Tigers, Leeds Rhinos and England youth squad and more recently as the Head of Physiotherapy & Rehabilitation for the Huddersfield Giants, combining this role with leading the medical provision for Jamaica’s International rugby league team. Following graduation with an honours degree from Keele University, Ben developed a great interest in the improvement of performance following injury as well as injury prevention. Always keen to expand his practice, Ben has recently completed an MSc degree in Strength and Conditioning at Leeds Beckett University. Ben has also spent time working with male and female elite footballers, as well as amateur athletes and people with work related issues. To contact Ben directly please email ben@performreadyclinic.com or call the appointment line on 07549258956. James is an international long-distance runner, having competed at the 2014 Commonwealth games, as well as World and European championships in Athletics. James combines his knowledge and passion for sport, with his current studies to be a physiotherapist. James applies his knowledge of common injuries and of the benefits of sports massage to athletes from a variety of sports. James also has an interest in a number of other sports including; rugby league and football. To contact James directly please email james@performreadyclinic.com or call the appointment line on 07549258956. Francesca has recently graduated from the University of Hull, with a degree in Sport Rehabilitation. Throughout her degree she has gained a range of experience, in a variety of settings, from providing massages at endurance events to treating patients in the university’s athletic union clinic. Francesca is an avid follower of rugby and spent her final year working with the university’s own rugby union team, providing them with pre and post-match treatments as well as pitch side first aid. She also had the privilege of working with Batley Bulldog’s RLFC as a masseur during the final months of her degree. 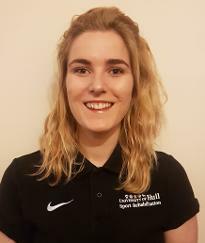 Francesca is a keen netball player and captained one of the university’s netball teams, she often draws upon her experiences of running training sessions when compiling exercise plans for patients. Ensuring sport specific exercises are used as often as possible, enabling a greater recovery. To contact Francesca directly please email francesca@performreadclinic.com or call the appointment line on 07549258956.